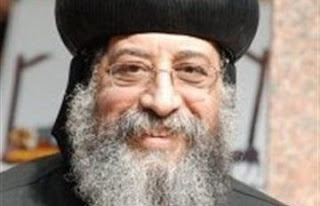 This can be old news for you but yes the new Pope of the Coptic Orthodox Church of Alexandria will be from these three men : Father Raphael Ava Mina,Bishop Tawadros and Bishop Raphael. Here is a quick bio for the three men. I hope that the bios are correct. The oldest candidate. Born in 1942 in Rod El Farag for a family that originally came from Asuit , Bishop Ava Mina graduated from the faculty of law , Ain Shams University. Raphael Ava Mina is considered the faithful student of Pope Cyril VI. He became a monk on 7th August 1969. On 8th August 1969 Pope Cyril VI ordained him as a priest in St. Mina Monastery. He wrote about 25 books in religion as well 17 booklets about the unknown saints. He is known to be a very peaceful man who lives according to the doctrines of Pope Cyril. There is difference between Pope Cyril VI and Pope Shenouda III starting from I know and I understand. 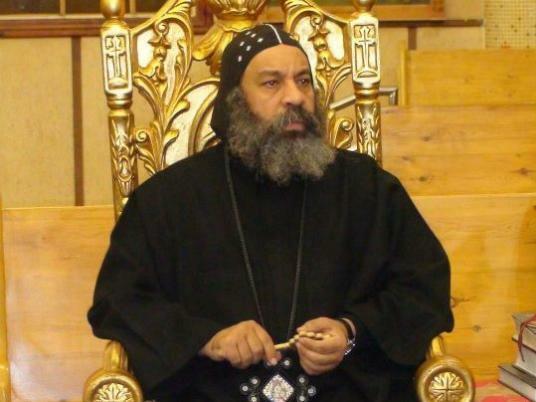 Bishop Tawadros currently is the general bishop of El Bahaira. He was born in 1952 with the name "Wagih Sobhy Soliman" in Mansoura. He was ordained as a Bishop in June 1997. Bishop Raphael is the most famous name among the candidates as he is the auxiliary Bishop of Central Cairo and Heliopolis . Born as "Michel El Arian Hakim" on May 6th , 1958 in Cairo , the former aide of Pope Shenouda III graduated from the faculty of Medicine as a surgeon in 1982. He joined monastic order and became a monk in 1987. He was ordained as a bishop in June 1997. 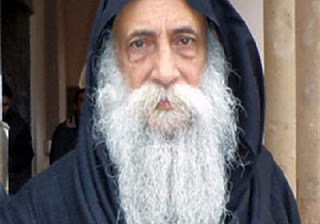 Being an aide to late Shenouda III means I think that he will continue on his path somehow. Now from Wednesday to Friday the Church will fast for three days a first degree fasting which means to eat nothing except vegan food if I understood correctly. Meanwhile the Church will choose from 70 boys a young boy who will be remembered for his upcoming choice from 3 folded papers with the names of the three candidates while blindfolded. This blindfolded boy represents God´s choice. You can read more about the Coptic Orthodox Conclave here. It will be held next Sunday and it will be also aired live. President Morsi is said to attend to the huge event. It is up to God indeed now and only God knows who will be the upcoming 118th Pope of the Coptic Orthodox Church from these three. May he be the best for the country not only for the Christians. There is difference between Pope Cyril VI and Pope Shenouda III starting from I know and I understand. Translate into English please because I have no idea what this means?????? A great step would be to allow a little girl to choose the ticket. Why must everything be about the male gender in Egypt? The Copts should pave the way for equality by even this small gesture to show the Islamists the world will not end if you choose a female. Dr. Ahmed Adel must check carefully that they are virgins to make sure they aren't tricking him.